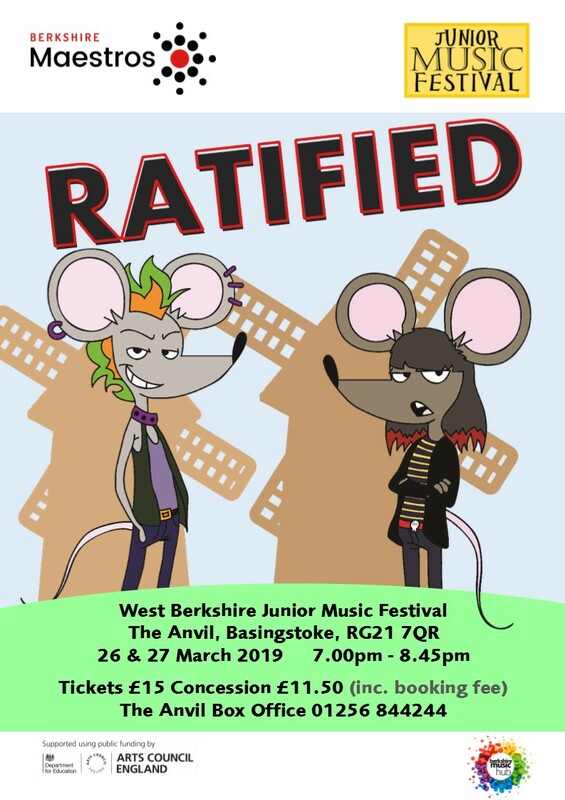 Berkshire Maestros’ West Berkshire Junior Music Festival once again brings hundreds of young people together from local primary schools to celebrate the joy of singing and this year features songs from the musical RATS! The show takes a new look at The Pied Piper of Hamelin, casting familiar characters in a new light. The rats who plague Hamelin are punks, the City Fathers are more concerned with themselves than with their citizens and the Pied Piper has the charisma of a rock star! The children will tell the story through songs, actions and attitude, linked together with narrations, accompanied, as usual, by an amazing band of staff and students. Participating schools will perform, as will an ensemble from Newbury Music Centre. Tickets are on sale via Anvil Arts - to purchase them please go to their website here. Tickets prices are £15.00 full price and £11.50 concessions (including booking fees).